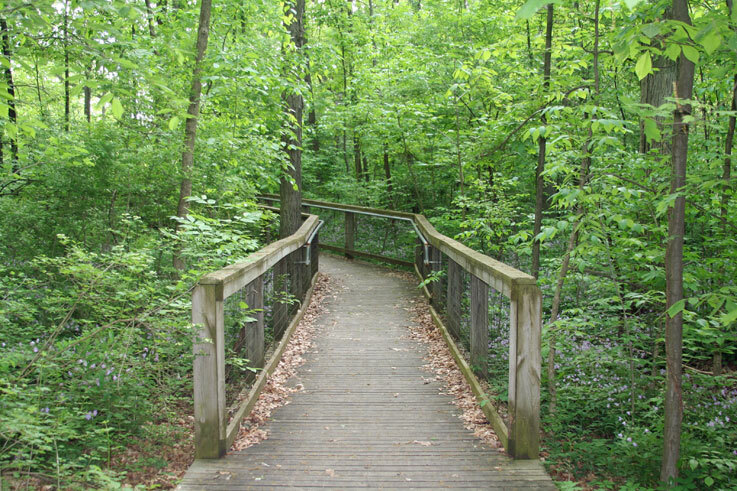 Lindenwood Nature Preserve is a 110-acre dedicated nature preserve featuring 4 hiking trails of varying length (one is wheelchair and stroller accessible), a pond, and an open-air pavilion. Hiking, wildlife viewing, photography, picnicking, and just relaxing are a few of the activities you’ll enjoy at the preserve. Admission is free. Follow us on Facebook for nature news, updates, and announcements! Sorry, no pets or bikes allowed! On March 17, 1994, the Board of Park Commissioners resolved to protect the park in perpetuity by applying to the Department of Natural Resources for Nature Preserve status. This designation was awarded by the state of Indiana and Lindenwood Park became Lindenwood Nature Preserve. Before you come to Lindenwood, check out the list of Park Rules. 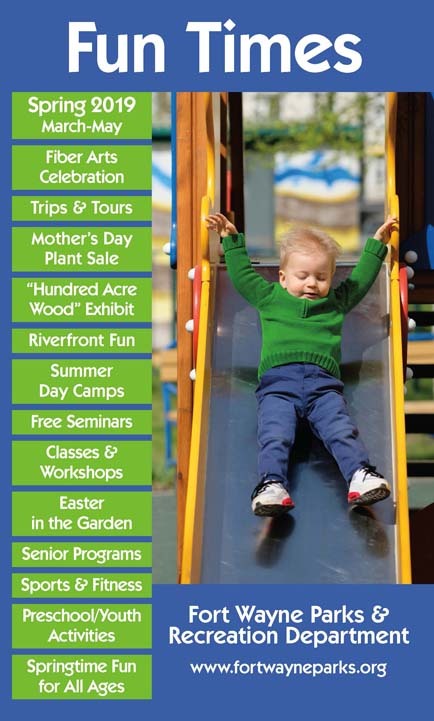 * Provide programs and events designed to promote environmental education and cultural enrichment and to Foster awareness that the natural setting enhances the quality of life through artistic inspiration, spiritual connection, physical fitness and exploration. 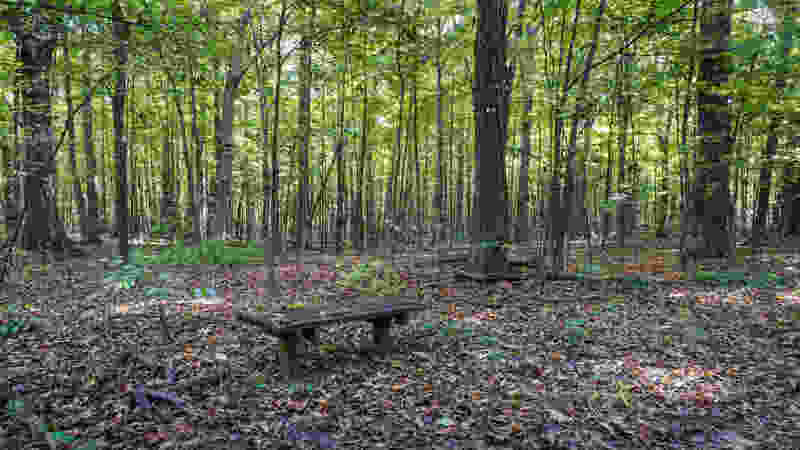 Lindenwood Nature Preserve became a park when the city leased the land from Lindenwood Cemetery in June 1974. 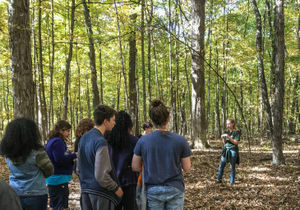 When the 10-year lease expired, the Fort Wayne Park Foundation, with the help of the English, Bonter, Mitchell Foundation, purchased the land for the Board of Park Commissioners. Lindenwood Park became an official city park in 1987. We have four trails at Lindenwood. 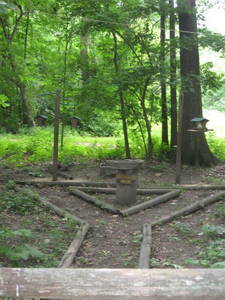 The trail head is the campfire ring inside the park. The Trillium trail is .5 mile and is our most scenic trail in the spring due to the prevalence of wildflowers. The Trail of Reflection is 1 mile in length. This trail is the only trail that leads to the pond and is accessible up to that point. 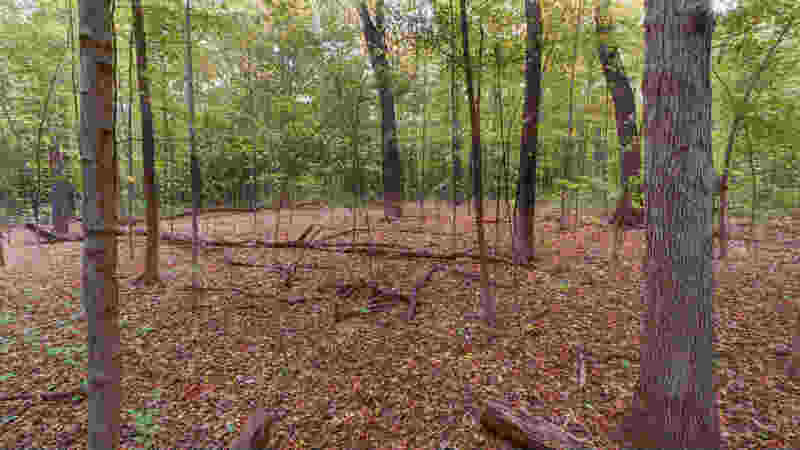 The Maple Spur is .5 miles and intersects with the Trail of Reflection or you can return to the trail head. The last trail is Oak Paradise and is .75 mile in length. 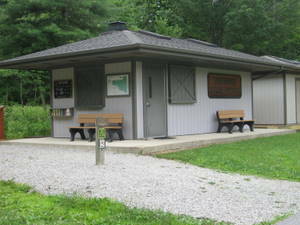 Lindenwood Nature Preserve is located between US Highway 24 (W. Jefferson Blvd.) and Spring St. from US Highway 24, turn north onto Lindenwood Avenue. The preserve is on the west side of the street across from the Lindenwood Cemetery. Check out the map showing the layout of the Park. The preserve is now open daily year round from dawn to dusk. For additional information on outdoor events, be sure to check out the Outdoor Recreation & Education link! Also, keep an eye on our Upcoming events and programs which lists information on upcoming programs. Patient and understanding, could withstand the variation of student abilities. It is always nice for teachers to have someone take over-especially at the end of the year. Judie P.
It was exceptional because as a teacher, I did not have to do much! She (Renee) did it all and she was confident with a strong voice and the kids listened to her. Good job! Judie P.
Renee and Jared gave both of my girls a wonderful birthday experience! They had so much fun and did not want to leave even though it was cold and wet. Renee and Jared were flexible and made the party happen-everything was perfect. Stacy B.
I love this program for students. They learn and actively participate all in a short amount of time. I've never had a student who didn't have a great time. Gale E.
Naturalist did a wonderful job these past two Saturdays. Her love and knowledge of nature really shines in her programs. She was well prepared, engaging with the girls, and shared perspectives they otherwise would not have learned such as about Peregrine falcons and outdoor survival. I think some of our favorite activities were building a shelter and seeing wildlife and hiking! Thank you for two wonderful Saturdays. Sheila C.
I've made several trips to Lindenwood over the years. Each time has been a unique and thoroughly educational experience. Mary H.